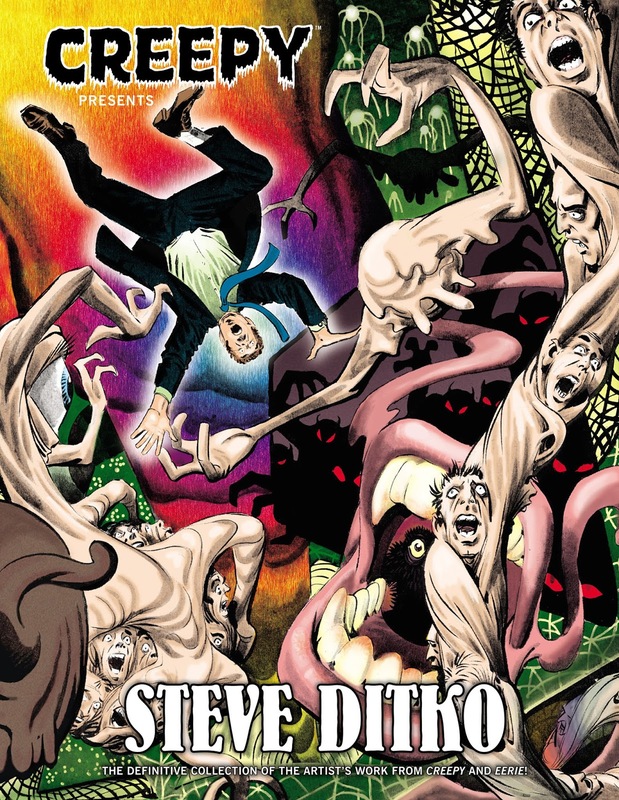 Let's face it, Steve Ditko was a presence in all our lives, for all our lives. 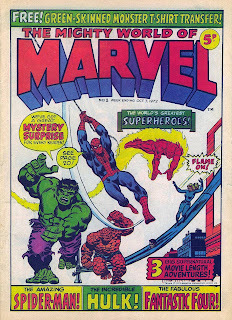 The origins of The Hulk, The FF & Spidey, all in glorious black, white & green. And that was it. I'd read Superman & Batman a few times, but this was literally the moment I became a comic fan. Forever. 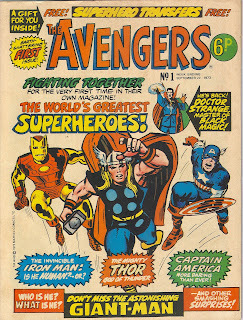 And for the first time, I knew who wrote and drew the comics, and Jack & Steve were obviously the best artists ever, before I'd even seen anybody else. 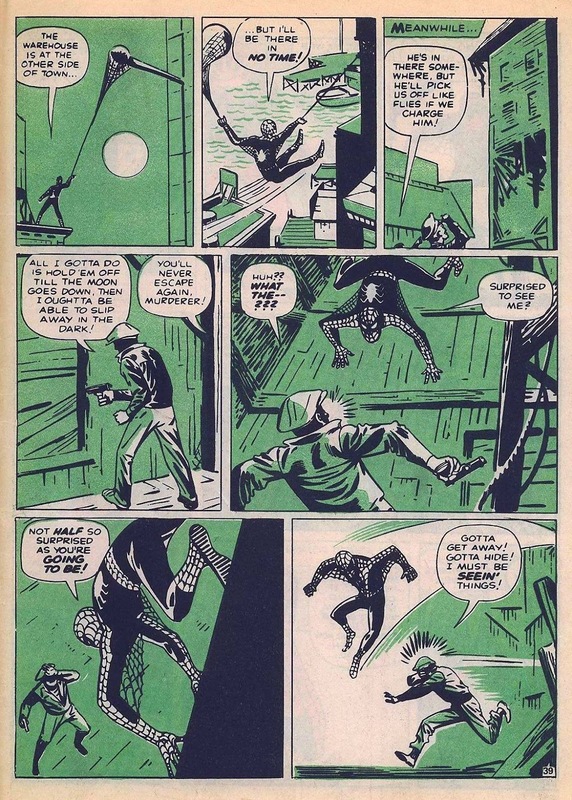 A while ago, I reread Ditko's run on Spidey, having not fully delved into it for decades, and expecting to go through it in that scholarly way I sometimes read a lot of Silver Age DC, appreciating it for the times in which it was done, but not really enjoying it in the same way a kid would. More fool me. I was enthralled, and am 100% positive that, alongside Stan & Jack's FF, Stan & Steve's Spidey is the greatest run of comics ever done by anybody ever. With that astoundingly cinematic three panel bottom tier that's etched on my brain forever. 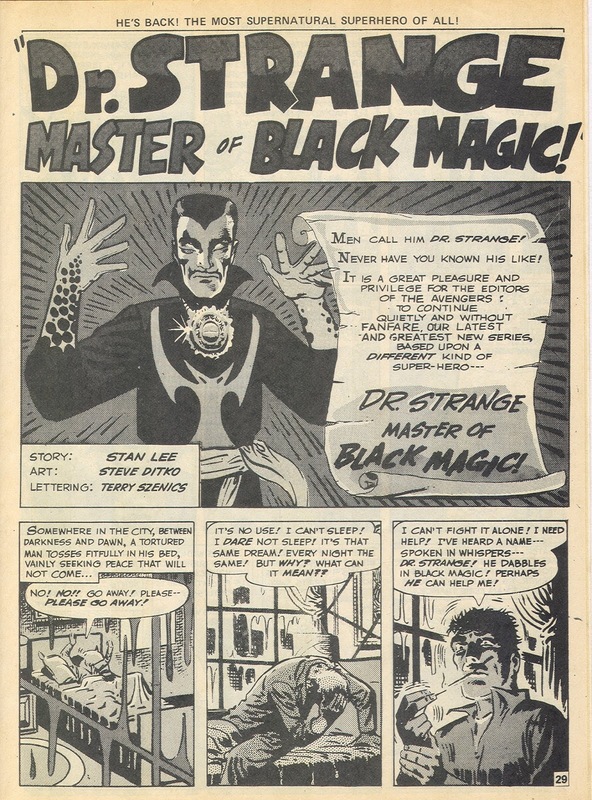 Gene Colan & Frank Brunner, of course, did their own wonderful versions of Strange's universe, but really, Ditko's is the real one. 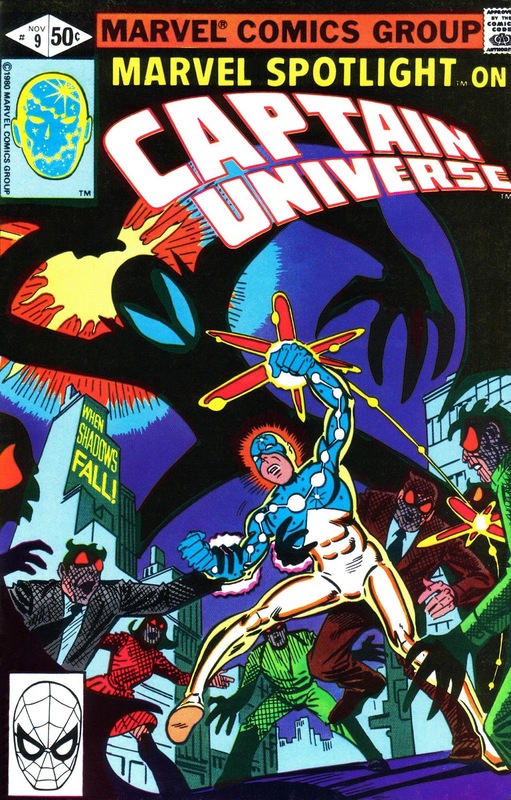 Then there was Captain Atom, which I read in Alan Class' summer holiday comics, and again, thought was the greatest thing ever. Plus Alan gave us all those fantastic Lee / Ditko sci-fi twist ending tales, every one a classic. And distribution was so haphazard, although I did hear about The Hawk & The Dove and The Creeper, I never actually got to read them till years later. 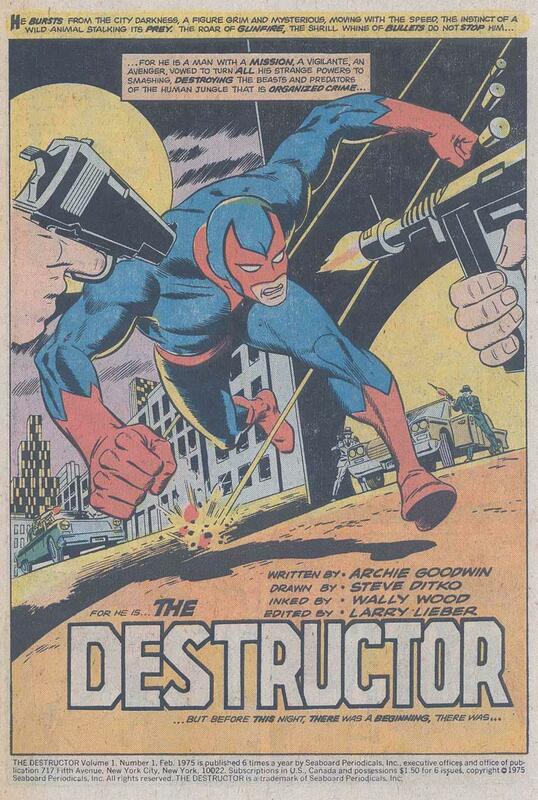 And then, when Ditko returned to Marvel & DC, it all seemed a bit lacklustre. I picked up the last couple of issues of Shade The Changing Man, and hated it. 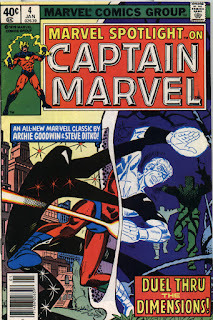 There was a Captain Marvel and a Captain Universe, where the stylistic quirks seemed to have taken over to the exclusion of all else, and more importantly, that perfect Ditko finish was gone. It seemed hacked out to 'Kid' me. It seemed like Ditko didn't care anymore, and was just collecting a buck. Maybe he was, maybe he wasn't. Like so much else about the man, we'll probably never know. 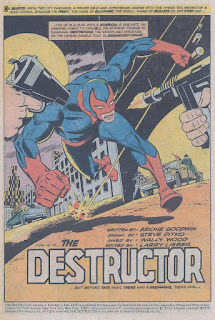 But then there were flashes like The Destructor, still one of my favourite comics ever, where he was teamed with Wally Wood, and was absolutely magnificent. Or Stalker, a way too short sword & sorcery title for DC, again with Woody. And I finally got to read The Hawk & The Dove and The Creeper, and loved them too. well, Ditko was there at the start, and he'll probably be there at the end too. 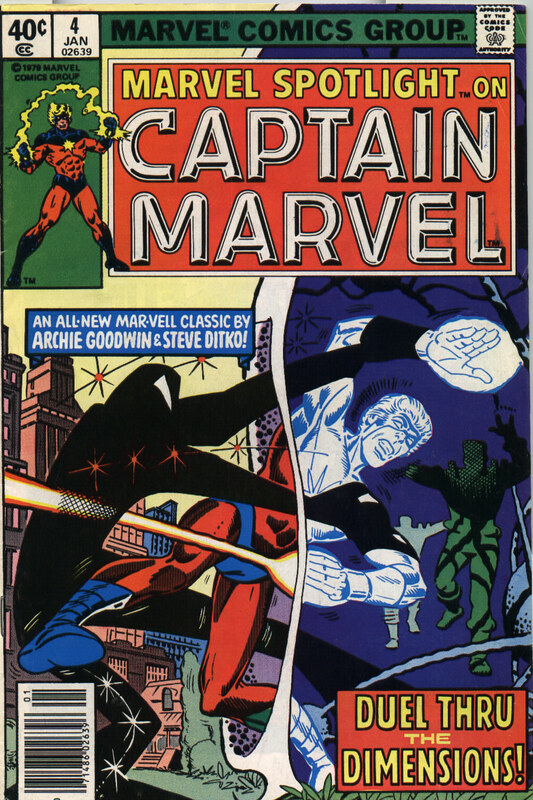 He, along with Kirby, is responsible for my lifetime reading comics, and Mighty World Of Marvel #1 is probably the last comic I'll ever read. Reports are saying he died alone, and that he wasn't found for a couple of days. That's desperately sad, but it's also strangely appropriate, a fact I'm by no means making light of. 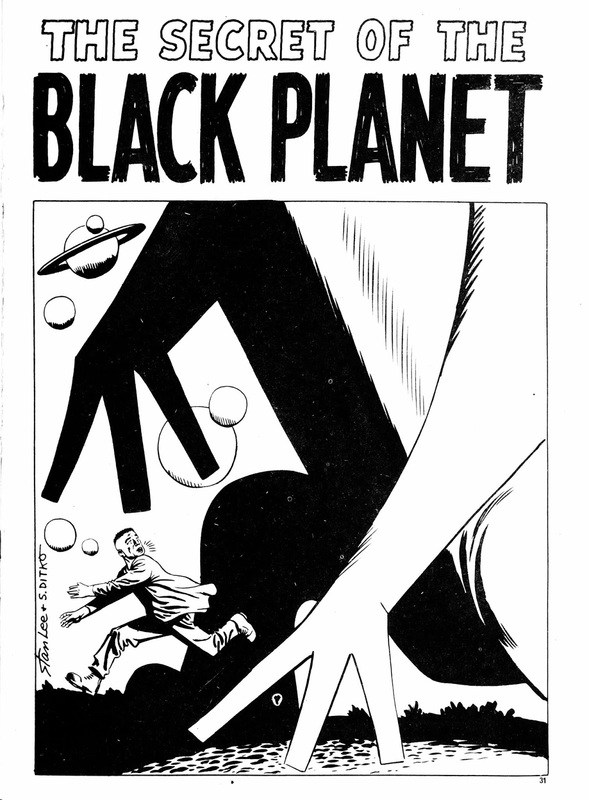 In the end, after all the conjecture, Ditko owed us nothing, other than the work he gave us. But I'd still like to think that whenever he walked the New York streets, and saw a little kid in a Spidey outfit, he at least raised the ghost of a smile. I'd like to think he knew that what he did was important, and knew how much he mattered to us. But we'll never know. We'll never know. Yeah, it's a shame. After Marvel, I think he was more interested in preaching Ayn Rand philosophy in his stories, which were often verbose tracts rather than fun comic books. However, his Spider-Man and Dr. Strange runs are classics. 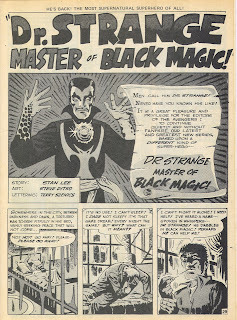 Alan Class was my gateway to Ditko as well. 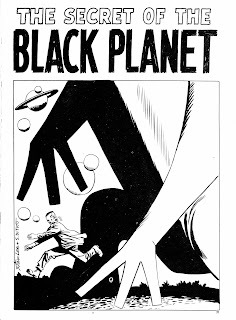 His art works exceptionally well in B&W for some reason and there's a POV story narrated by, as the final panel reveals, an ape which I must've read 25 times or more in the year I was bought it (from a shop on Camden Parkway if my memory serves). His Spider-Man lived in an entirely believable world, a suburban hero to set again all the metropolitan alternatives which filled the shelves. And I'd certainly make a case for Speedball being a fun later return to that theme. He's also the co-creator of Squirrel Girl, one of the few mainstream comics that acknowledges an audience that doesn't care too much about 50 years of continuity and concentrates instead on delivering a good story. Ditko's work for the past 20 years has been increasing hard to read, but once you realise the plot is exactly the same for each story you can tune out the message and enjoy the execution and admire the drive of someone still determined to get his message out despite the advancing years. Been reading the pre-Spidey sci-fi twist ending stuff today, mostly. Just breathtakingly beautiful work. I think the early Shade issues deserve a look if you can get hold of them. There's a tapestry almost as rich and bizarre as Dr. 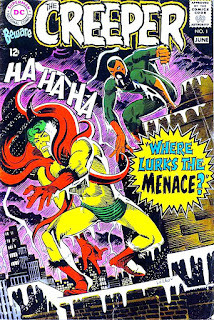 Strange and Ditko was engaged enough to be involved in the coloring on several issues. 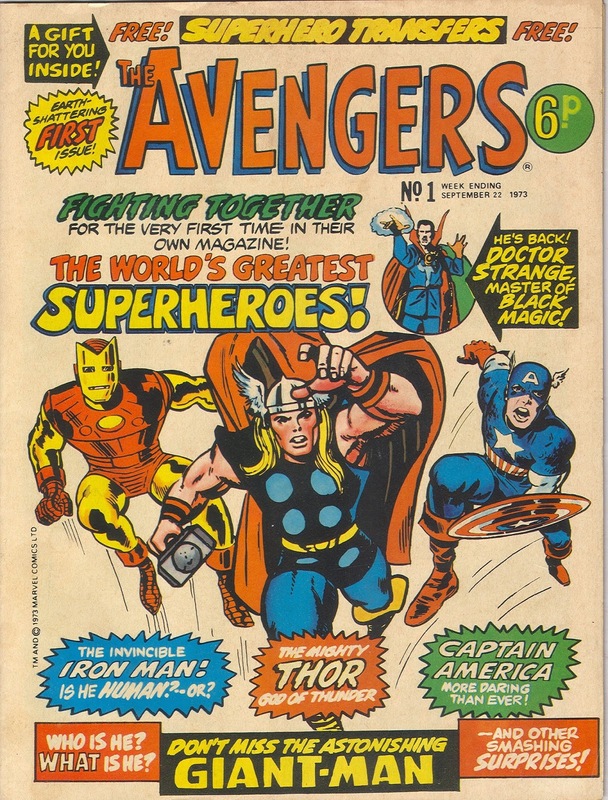 He may have seemed like he was phoning it in to you on some of the later stuff, but the act of making comics was significant enough to him to continue doing it into his ninth decade. When he was not engulfed in polemic (and a lot of his weird later stuff is more just a super-distilled exercise in costumed heroics) he was capable of really powerful story structure. The Mocker is a long form serial of ten chapters, ten pages each, that was completed in the late 80's. The hero is one of Ditko's unfairly condemned loners who fights criminals, corrupt officials and his ex-girlfriend to clear himself. Interestingly the character compromises himself by partnering with a mob boss to accomplish his goals. The characters and their relationships seemed really compelling to me, and all go through significant transformations in 100 pages. And there's plenty going on if you enjoy falling into a thick comic; the pages are 16 panels and more, and he pulls that off in a way that few artists can. Shade is very much a series I'm going to be trying again, Russ, if only because so many people seem to like it. 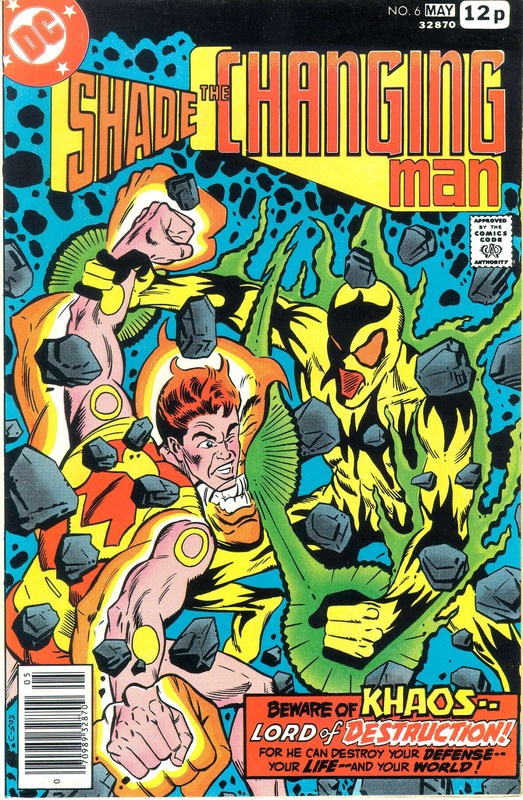 It was really the period around the early '80's I struggled with: The issues of Marvel Spotlight I mentioned, his taking over of Machine Man after Kirby, his issues of DD & The Hulk, even Starman in Adventure Comics, a story and character which I liked a lot. They all looked unfinished and rushed out to me. Possibly that comes with age, most artists tend to lose that indefinable sharpness over time but certainly in that period, Ditko seemed very old fashioned and dull to 'Kid' me. Which is why I'll be re-reading them all again as an alleged grown up, to reinvestigate. And The Mocker sounds intriguing, thanks. 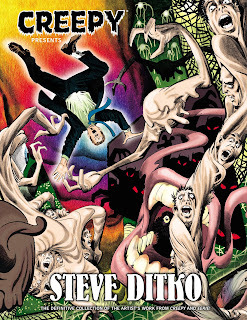 I think I'll be looking into 'new' Ditko for a while to come. It's weird that lately I've been a bit obsessive with finding all the obscure stuff I've missed by & evaluating the entirety of Ditko's output - and then to see that he's just passed away. We've lost a real icon, friends - mere words just can't express how much. 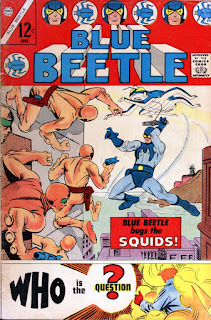 I'm kind of with you, Pete, concerning Ditko's later work. The fantasy five-pagers (most of which are works of genius), Spider-Man, Dr. Strange, the Warren stories, the early DC stuff with The Creeper & such - all of it solid gold. But after that, it gets spotty. The later DC stuff; Shade, more Creeper stories & the like are okay - but seem to be more hit & miss. His 80's+ Marvel work tended to be... well, boring work for hire. The fire was gone, seemingly replaced by a factory mentality. But even then, gems would randomly sprout up here & there. The Mocker back-up strip in an old issue of Captain Victory comes to mind as a fine example of that. 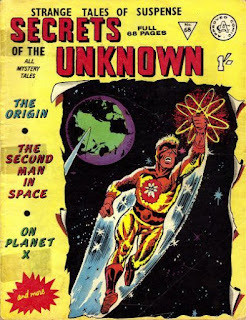 Also, I have to add: While 80's work like Captain Universe & Speedball left me cold, some of Ditko's finest work showed up in (of all places) ROM: Spaceknight. As much as I can't stand Bill Mantlo's writing or toy tie-in comics in general, Ditko really out-did himself in the last dozen & a half issues of ROM - many of which are inked by P Craig Russell, which just makes it all the more savory. I forgot to go into his Charlton stuff properly but that really is an amazing run as well. 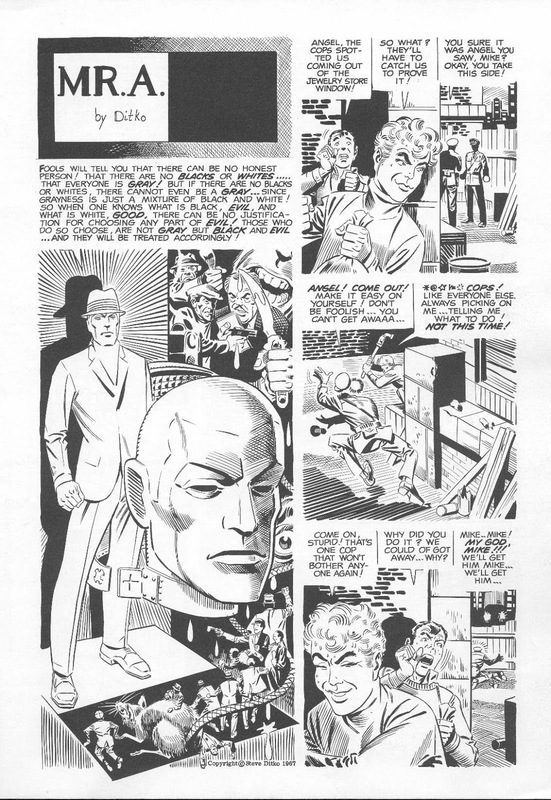 He was in nearly every issue of nearly every mystery book Charlton published. All of it's great, and some of it is breathtaking. 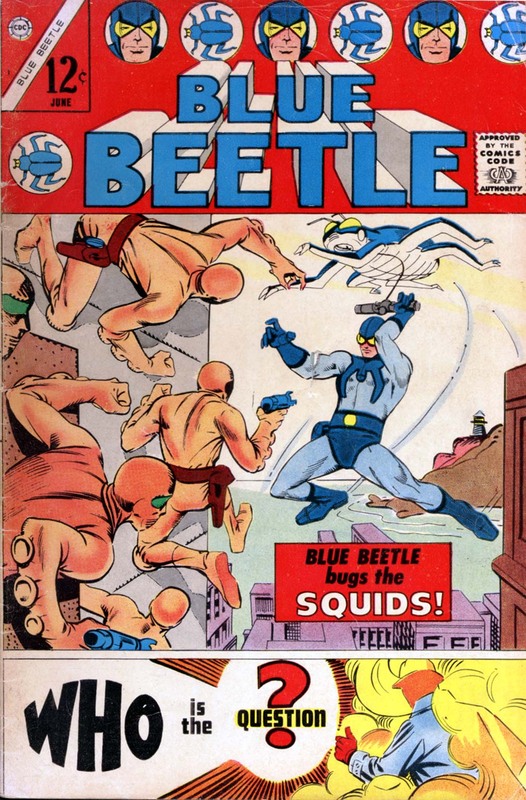 Re-reading Blue Beetle, Captain Atom and The Question at the moment, but Shade's definitely next. I got real choked up when I heard the news, even though I knew he wasn't long for this Earth. Ditko never adapted well to the industry's change from drawing "2 up" to drawing "1½ up". I believe this happened in the early 1970s. 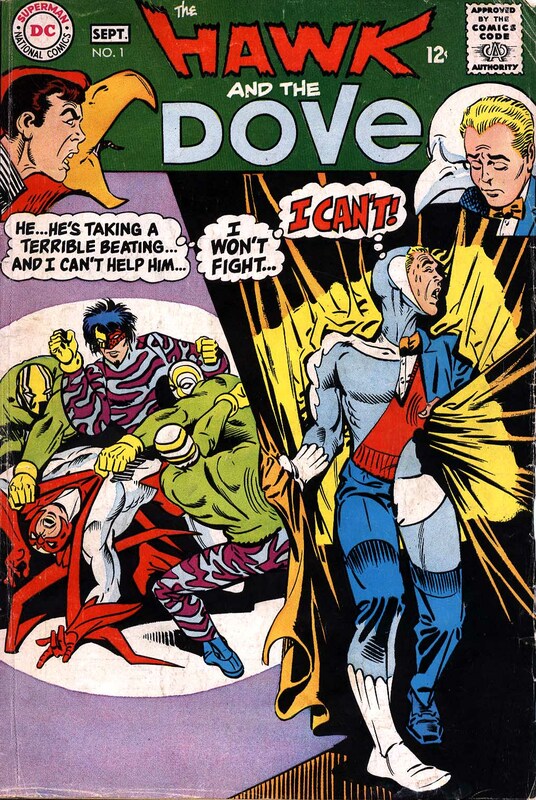 Something that's always puzzled me is what happened with CREEPER and HAWK & DOVE? CREEPER ended with horrible, hacked-out issues, and H&D was handed off to Gil Kane before any sales figures could have come in. 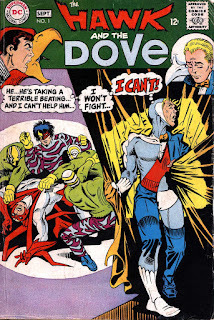 Ditko either had some sort of falling-out with DC or some sort of breakdown. I wonder if we'll ever learn the full story. "As conflict over the two books escalated, the artistar health took a turn for the worse: the tuberculosis that had brought him to death's door in 1954 returned. 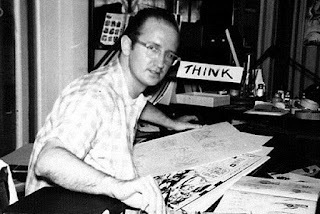 Ditko was forced to give up his two DC titles, only to contribute pencils to the first eleven pages of Beware the Creeper #6 [...]" (Pg 118). It is a great book, George, and I'd forgotten about that, thanks. 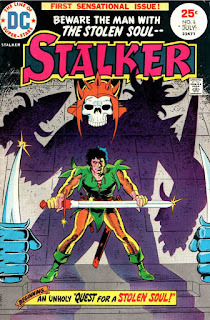 As an aside, Paul, I was at a con once, looking through that Gil Kane issue of The Creeper, and the dealer told me that Gil was grabbing every piece of work he could get at the time, in order to pay for his divorce! WHAAT?! Jezz, I never heard THAT story! Is the editor there meant to be Archie Goodwin 'cos it sure looks like his charicature? 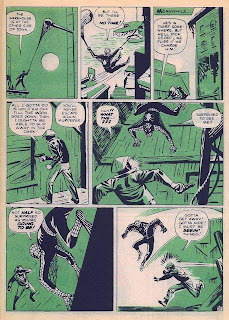 Yes, Archie Goodwin -- McKeever is pastiching Goodwin's drawing and lettering style rather nicely. A bit more research revealed that this is fairly widely known, but talking about it is frowned upon due to reverence for Kane. For myself, I love Kane's drawing (especially from the decade 65-75), but everything I've read about the man himself, and many of the opinions he expressed in interviews, suggests that he was quite a piece of work. Oh yes, and it's always galled me that a man whose entire style (it could be argued) was basically a continuation and refinement of Jack Kirby's early 40s style, had the nerve to speak disparagingly about Kirby's later work. I don't see Kane refining Kirby. Kirby is not immune to criticism. Much of his work from the 70s on was not very good. Let's agree to disagree about the quality of Kirby's later work, but if you can look at Kirby's 1941-43 work on Captain America, Sandman, etc and not see the template for Kane's later work, I'd suggest you look again. And to be clear, I'm not saying Kane was an unoriginal artist who ripped off Kirby -- just saying that Kirby's style from that period is the bedrock foundation that Kane's style grows out of. Plus, Kane's criticism of Kirby lacked decent good manners. Here's an analogy: everyone in Hollywood knows that De Niro is a pretty terrible actor these days (or at least picks roles where his performance can be phoned in), but nobody in Hollywood is going to say so, out of respect for the man's past accomplishments. Indeed. Thanks for that info, Paul.